With these two serums, Environ is leading the way with the fight against pigmentation by tackling the root cause of pigmentation and preventing further patches from developing. 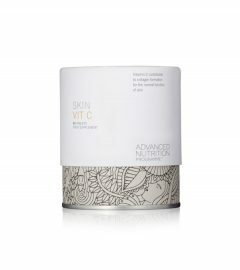 The Vita-Botanical Mela-Fade system uses a combination of intelligent ingredients to lighten and brighten, reduce hyperpigmentation leaving the skin radiant and more evenly toned. 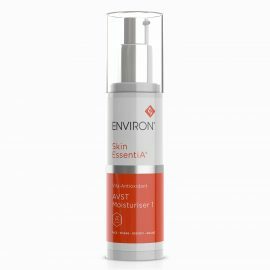 Please note due to the nature of the active ingredients Environ is a consultation only product, therefore if you would like to purchase products please register and fill out our online consultation form or call 01274 845 078 9am-5pm Monday to Friday for advice and to order products. 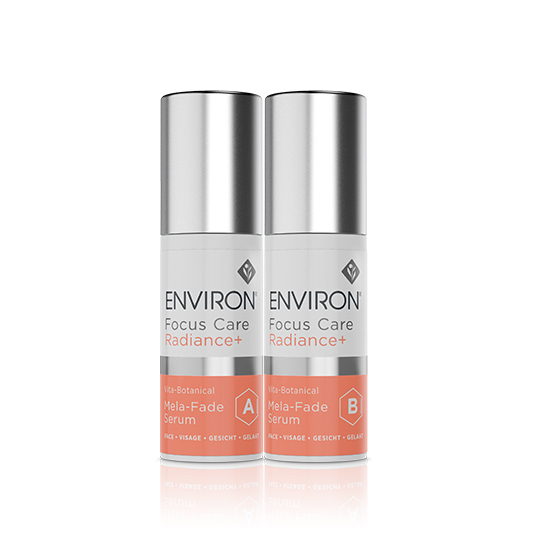 Combining two serums, Serum A & Serum B this system works by using lactic acid and complex botanicals to inhibit pigmentation developing, controlling damaged cells responsible for pigmentation development and lightens and brightens the overall appearance of the skin resulting in a noticeable reduction in darker spots.